Interested in a summer of fun and learning? 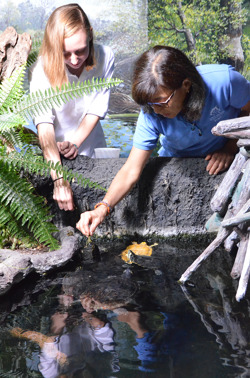 The Aquarium invites rising freshmen, sophomores, juniors, and seniors in High School who are genuinely interested in marine biology, zoology, and environmental science to take part in our Summer Junior Volunteer Program. Those selected to participate in this program will have the opportunity to work alongside experienced volunteers as habitat interpreters and under the supervision of the Education Department. Throughout the duration of this program, the Aquarium encourages participation in additional opportunities that enable students to learn about the Aquarium and explore areas of personal interest. This program is designed to be fun, rewarding, and interesting. Junior Volunteers must always adhere to the Aquarium standards for appearance and conduct. To be eligible for an interview, the application and one reference must be submitted by the deadline. The deadline for 2019 applications is April 30. It is our hope that participation in this program will provide experience necessary for future education and employment opportunities in marine biology and aquatic science. Please note there is a $25 fee for this program due upon acceptance by the orientation date. If there are any further questions regarding the Junior Volunteer Program, please call the Volunteer Coordinator Aly Mack at (252) 247-4003, ext. 286. Teens who volunteer will be trained to work at these four stations: stingray touch pool, invertebrate touch pool, classroom, and information discovery carts. Please note there are opportunities for Junior Volunteers to go behind the scenes with staff, however they will not be trained as a husbandry/aquarist volunteer. There are two Junior Volunteer Applications: one for returning junior volunteers and one for new junior volunters. Be sure to fill out the correct application. The Aquarium at Pine Knoll Shores junior year-round volunteer program is for teens ages 14-17 years old. Teens interested in the program must have completed either the Aquarium Teen Ambassador program or the Summer Junior Volunteer program. If interested and eligible for this program, please fill out the application. Send completed applications to Volunteer Coordinator Aly Mack. Email: [email protected] Fax:252-247-0663 Regular Mail: 1 Roosevelt Blvd. Pine Knoll Shores, NC 28512. 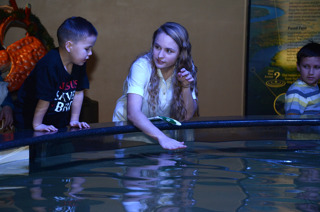 You can also contact Aly at 252-247-4003 x.286 We would love to have you as a part of our Aquarium family. The North Carolina Aquarium offers students in grades 9 – 12 the opportunity to fulfill the requirements for Senior Projects and other school-based community service through its job shadowing program. 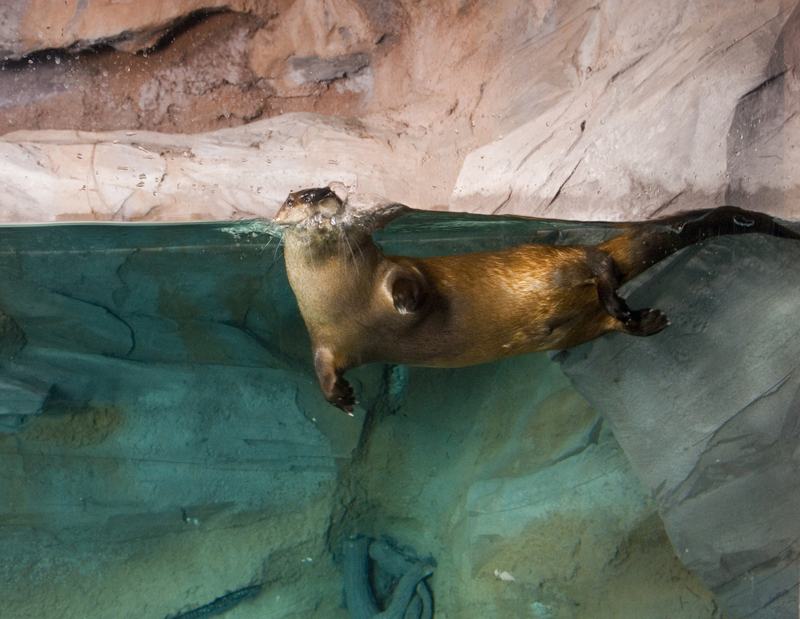 The Aquarium offers job shadowing opportunities of either 8 or 15 hours during the school year, September-April. Job shadowing is not available during the summer.